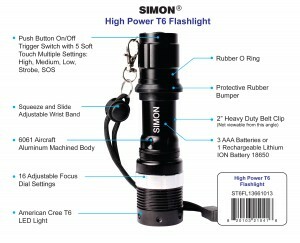 The Simon T6 Pro handheld flashlightwith Cree LED Bulb. 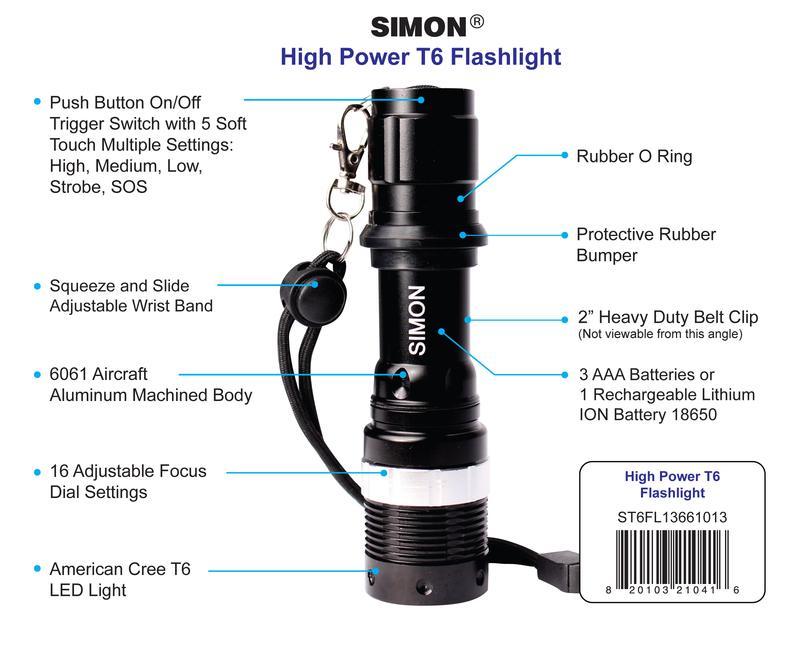 We need to compare it to a similiar maglite to testing. Also check out our new diagram for packaging.